It’s important to have a trusted dental team to provide the services you need for your best smile. 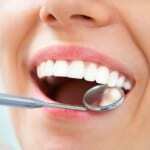 There are several things that may come to mind when you are looking for the right dental clinic for your needs. For example, does the clinic offer the services you require, and do they serve people of all ages? 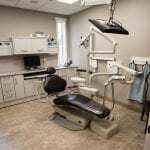 If you are searching for a dental clinic in the Thornbury, Ontario area that can offer comprehensive dental care for your family, look no further than Georgian Shores Dental Centre for the services you need. We have two convenient dental clinic locations in Midland and Collingwood, just a short drive away from Thornbury. That means you can easily choose the clinic that accommodates your schedule and dental needs while knowing that you’ll receive expert care. Our dental clinic offers a wide range of services including routine dental cleanings, tooth extractions and fillings, crowns and bridges, implant restoration, teeth whitening and porcelain veneers. We believe it’s important to have a trusted dental team to provide the services you need for your best smile, and at Georgian Shores Dental Centre we will work with you to achieve just that. At our two clinics, we work to maintain updated technology, provide a comfortable and enjoyable environment, serve people of all ages, and offer a positive experience no matter the dental services that are needed. You’ll also find that we offer sedation dentistry at our Midland office to help those with anxiety experience a great dental appointment. Make your next call to us for an appointment at Georgian Shores Dental Centre and to learn more about each of our dental clinics. We look forward to helping your entire family enjoy their brightest smile. At Georgian Shores Dental Center, our Midland and Collingwood dental clinics serve residents of Collingwood, Creemore, Midland, Nottawa, Penetanguishene, Perkinsfield, Port McNicoll, Stayner, Thornbury, Victoria Harbour, Wasaga Beach, and Wyevale, Ontario.